Maybe it’s the unique paper packaging. 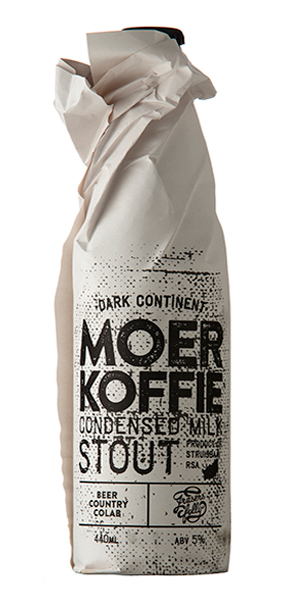 Maybe it’s being the most southerly craft brewery in Africa. But here’s what I know. Heart and zeal come first; and that’s how we brew Frasers Folly. Quality is key – we never sacrifice that. And we get to be creative and have loads of fun while brewing our beer. 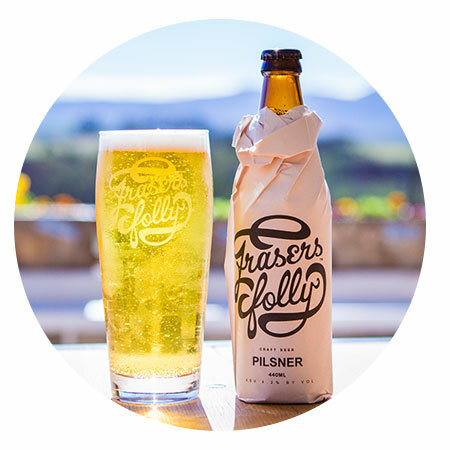 Here at Fraser’s Folly, we’ve opened our new brewhouse doors on the Black Oystercatcher Wines Farm. 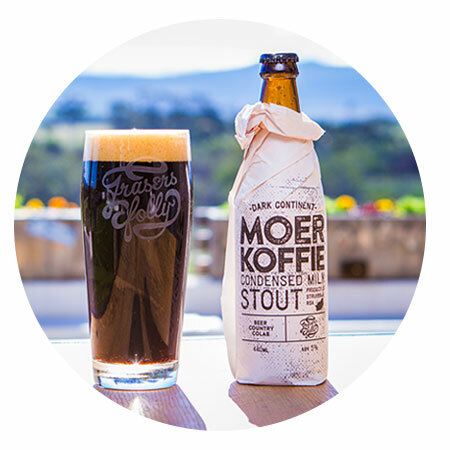 So from here on in you can expect our range of Fraser’s Folly beer, (including the creamy Moer Koffie Stout), delicious meals at the Black Oystercatcher Restaurant and Deli, perfectly paired with my beer, and just a relaxing day in the country. 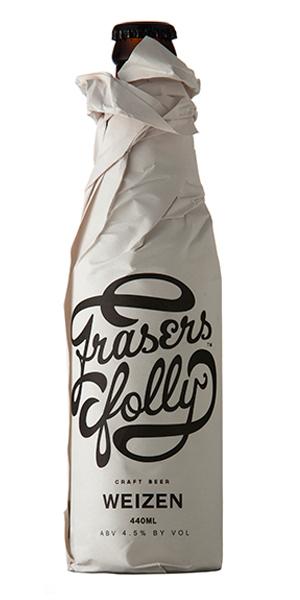 We craft a range of beers from our Fraser’s Folly Brewhouse. And we’re always testing new and interesting flavours, on top of our best-selling beers. So pop in at the Black Oystercatcher Wine Farm (check in at the Tasting Room) to learn more. THE PILSNER IS A CRISP, EASY DRINKING SUMMER LAGER. We ferment it half as ale and half as lager, and use two different yeasts. The result? A ‘hoppy’ lager with a nose of fresh bready malt, lemon (almost like lemon sherbet) and grassy hops. (Previously called the Soutie). 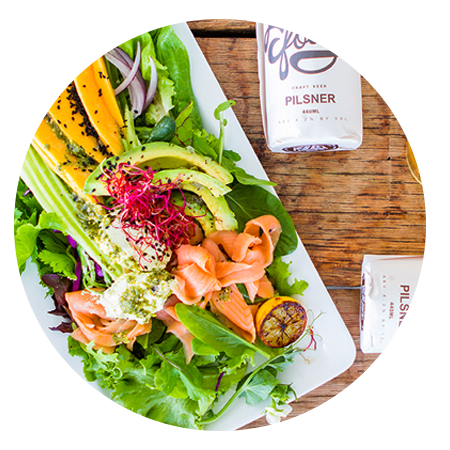 Try the Pilsner with seafood, lemon chicken and even with a fresh, crunchy salad. THIS ENGLISH ALE IS PERFECTLY BALANCED WITH RICH MALT AND SLIGHT BITTERNESS, AND HAS LIGHT CARBONATION. It has a nose of freshly-baked biscuits (who can resist those) and citrus hops. 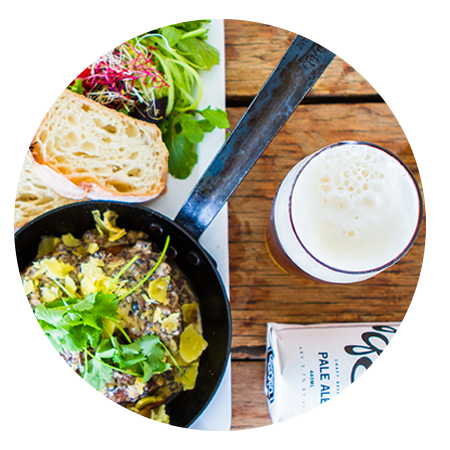 This English Pale Ale pairs very nicely with a great South African braai – like chops, sirloin steak or sausages. Or try it with an Indian Curry. THIS IS AN UNFILTERED GERMAN-STYLE WHEAT BEER. LIGHT, REFRESHING, AND ALMOST SPRITZY, AND PERFECT FOR SUMMER. We brew this beer with wheat malt and pale malt – and a secret ingredient. It has a nose of banana bread, cloves and bubblegum. When you taste it, look out for the banana bread and dry peaches flavour. It has a high carbonation and a dry finish. Given the Weizen beer’s German heritage, we’re sticking with the German theme. 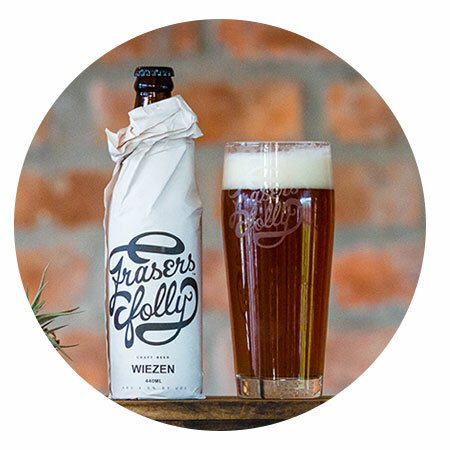 So try this beer with a delicious, perky Bratwurst or other sausages or cured meat. Also delicious with soft cheese. 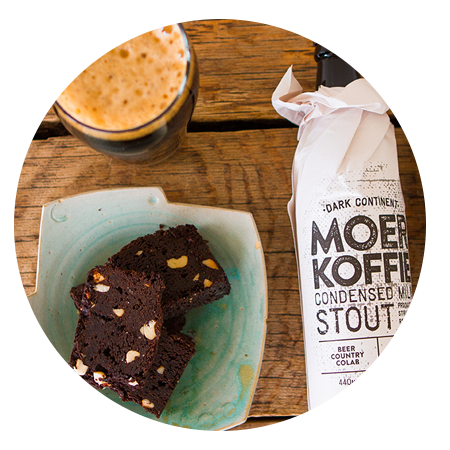 THE MOER KOFFIE STOUT CAME ABOUT AFTER WE TEAMED UP WITH THE GUYS FROM BEER COUNTRY. This beer didn’t come easy. It took us months to find the right coffee. And there’s another secret ingredient: you have to find the right water. But the result is fantastic: a nose of bold coffee, caramel and dark chocolate with smoke. And intense coffee, caramel and chocolate flavours, with a dry finish. This beer deserves to be tasted with rich food. So try it either with a really rich beef stew or beef ribs. It’s also a perfect combination with a full English breakfast or oysters. Or drink it as a dessert beer. 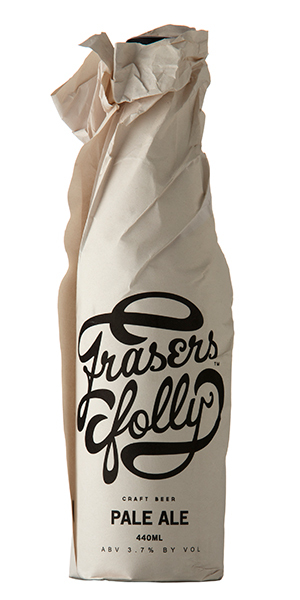 Fraser’s Folly Beer Club – LAUNCHED! Just how do you think the Brandy Cask Finished Ale came about? I got creative in the Brewhouse (it’s all about instinct and senses). Want to find out more? BREAKDOWN OF PERKS HERE. Skip that step – GO STRAIGHT TO BECOME A MEMBER (It entails buying 2 cases of my beer – once a year). Beer tasting is fun on its own. But it’s even better when there is delicious food to pair it with. So during the peak season’s activities (usually school holidays) the Brewhouse also serves fabulous, perfectly paired snacks, like a range of fantastic sausages with a mix of textures and flavours. For the rest of the year, our beer tastings will be available at the Black Oystercatcher Tasting Room. And of course here you can get some tasty lunch options at the Black Oystercatcher Restaurant. Here in South Africa, I think the word is ‘gatvol’. I’m told it means ‘fed up’. That’s how I felt when I first started looking for quality craft beer here. There simply wasn’t that much to choose from. So I started making my own in 2010 – in the seaside town of Struisbaai, right at the most southerly tip of Africa. What I had at the time was a winemaking degree from Plumpton College in the UK. Years of fun practicing with my home brewing kit there. And even more years of tasting fantastic craft beer from around the world. That’s how Fraser’s Folly was born, with me, Fraser Crighton, as the brewmaster. And my extremely patient wife, Marile, as everything else. So how did a Soutie end up in the Overberg area in SA? Well, it was just one chilly day too many for Marile in Brighton. She gave me an ultimatum – either I follow her back home to Struisbaai, or she goes without me. I chose the former. Seems to have been a good choice. Six years later, my journey here took a new twist. 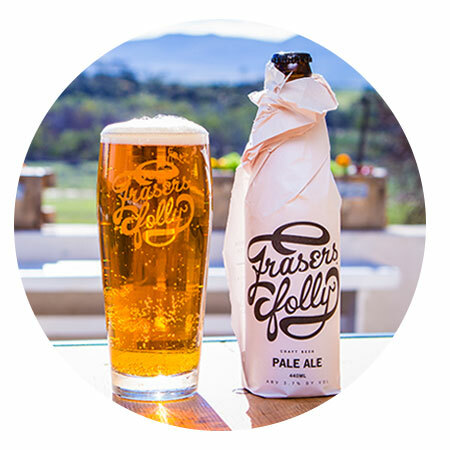 Fraser’s Folly beer had been sold throughout the Overberg, including the Black Oystercatcher Wine Farm (not too far down the road from Struisbaai). Founder Dirk Human and I started chatting. 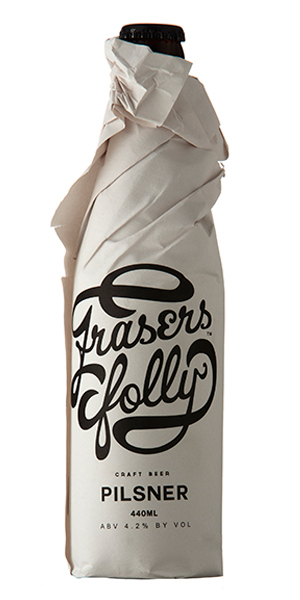 He had always loved Fraser’s Folly craft beer. And he had big plans for the wine farm as a destination. And so in 2016, he bought the Fraser’s Folly brewery. I stayed on as the brewmaster and the face of the beer. In turn, I got a brand new Brewhouse, with awesome new equipment, now based at the Black Oystercatcher Wine Farm. And the chance to make even more great quality craft beer for the Overberg and beyond. and 24, 25 Dec & 1 Jan.
Aside from brewing our five craft beers, we’re constantly experimenting with new ones.